1. 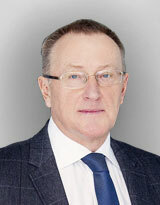 Крылов В. В., Дашьян В. Г., Левченко О. В. и др. Новые технологии в хирургии нетравматических внутричерепных кровоизлияний. Журнал им. Н. В. Склифосовского «Неотложная медицинская помощь» 2013;(3): 48–54. 2. Скворцова В. И., Крылов В. В. Геморрагический инсульт: практическое руководство. М.: Гэотар-Медиа, 2005. 160 c.
3. Brott T., Thalinger K., Hertzberg V. Hypertension as a risk factor for spontaneous intracerebral hemorrhage. Stroke 1986;17(6):1078–83. DOI: 10.1161/01.STR.17.6.1078. 4. Lloyd-Jones D., Adams R. J., Brown T. M. et al. Heart disease and stroke statistics – 2010 update: a report from the American Heart Association. Circulation 2010;121(7):e46–e215. DOI: 10.1161/CIRCULATIONAHA.109.192667. PMID: 20019324. 5. Крылов В. В., Дашьян В. Г., Годков И. М. Эндоскопическая хирургия геморрагического инсульта. М., 2014. 96 с. 6. Pouratian N., Kassell N. F., Dumont A. S. Update on management of intracerebral hemorrhage. Neurosurg Focus 2003;15(4):E2.DOI: 10.3171/foc.2003.15.4.2. PMID: 15344895. 7. Kuo L., Chen C. M., Li C. H. et al. Early endoscope-assisted hematoma evacuation in patients with supratentorial intracerebral hemorrhage: case selection, surgical technique, and long-term results. Neurological Focus 2011;30(4):E9. DOI: 10.3171/2011.2.FOCUS10313. PMID: 21456936. 8. Bakshi A., Patir R., Bakshi A., Banerji A. K. A multifunctional, modified rigid neuroendoscopic system: clinical experience with 83 procedures. Technical Note. J Neurosurg 2003;99(2):421–5. DOI: 10/3171/jns.2003.99.2.0421. PMID: 12924721. 9. Kaya R. A., Türkmenoğlu O., Ziyal I. M. et al. The effects on prognosis of surgical treatment of hypertensive putaminal hematomas through transsylvian transinsular approach. Surg Neurol 2003;59(3):176–83. DOI: 10/1016/S0090-3019(02)01043–1. PMID: 12681546. 10. Morgenstern L. B., Demchuk A. M., Kim D. H. et al. Rebleeding leads to poor outcome in ultra-early craniotomy for intracerebral hemorrhage. Neurology 2001;56(10):1294–9. DOI: 10.1212/WNL.56.10.1294. PMID: 11376176. 11. Niizuma H., Shimizu Y., Yonemitsu T. et al. Results of stereotactic aspiration in 175 cases of putaminal hemorrhage. Neurosurgery 1989;24(6):814–9. DOI: 10.1227/00006123‑198906000‑00005. PMID: 2664544. 12. Teernstra O. P., Evers S. M., Lodder J. et al. Stereotactic treatment of intracerebral hematoma by means of a plasminogen activator: a multicenter randomized controlled trial (SICHPA). Stroke 2003;34(3):968–74. DOI: 10.1161/01.STR.0000063367.52044.40. PMID: 12649510. 13. Barrett R. J., Hussain R., Coplin W. M. et al. Frameless stereotactic aspiration and thrombolysis of spontaneous intracerebral hemorrhage. Neurocrit Care 2005;3(3):237–45. DOI: 10.1385/NCC:3:3:237. PMID: 16377836. 14. Cho D. Y., Chen C. C., Chang C. S. et al. Endoscopic surgery for spontaneous basal ganglia hemorrhage: comparing endoscopic surgery, stereotactic aspiration, and craniotomy in noncomatose patients. Surg Neurol 2006;65(6):547–55. DOI: 10.1016/j.surneu.2005.09.032. PMID: 16720167. 15. Prasad K., Mendelow A. D., Gregson B. Surgery for primary supratentorial intracerebral haemorrhage. Cochrane Database Syst Rev 2008;(4):CD000200. DOI: 10.1002/14651858.CD000200.pub2. PMID: 18843607. 16. Dubourg J., Messerer M. State of the art in managing nontraumatic intracerebral hemorrhage. Neurosurg Focus 2011;30(6):E22. DOI: 10.3171/2011.3.FOCUS1145. PMID: 21631224. 17. Hsieh P. C., Cho D. Y., Lee W. Y., Chen J. T. Endoscopic evacuation of putaminal hemorrhage: how to improve the efficiency of hematoma evacuation. Surg Neurol 2005;64(2):147–53. DOI: 10.1016/j.surneu.2004.11.028. PMID: 16051009. 18. Nagasaka T., Tsugeno M., Ikeda H. et al. Balanced irrigation-suction technique with a multifunctional suction cannula and its application for intraoperative hemorrhage in endoscopic evacuation of intracerebral hematomas: technical note. Neurosurgery 2009;65(4):826–7. DOI: 10.1227/01.NEU.0000350985.58062.3F. PMID: 19834365. 19. Auer L. M., Deinsberger W., Niederkorn K. et al. Endoscopic surgery versus medical treatment for spontaneous intracerebral hematoma: a randomized study. J Neurosurg 1989;70(4):530–5. DOI: 10.3171/jns.1989.70.4.0530. PMID: 2926492. 20. Nishihara T., Nagata K., Tanaka S. et al. Newly developed endoscopic instruments for the removal of intracerebral hematoma. Neurocrit Care 2005;2(1):67–74. DOI: 10.1385/NCC:2:1:067. PMID: 16174973. 21. Basaldella L., Marton E., Fiorindi A. et al. External ventricular drainage alone versus endoscopic surgery for severe intraventricular hemorrhage: a comparative retrospective analysis on outcome and shunt dependency. Neurosurg Focus 2012;32(4):E4. DOI: 10.3171/2012.1.FOCUS11349. PMID: 22463114. 22. Chen C. C., Liu C. L., Tung Y. N. et al. Endoscopic surgery for intraventricular hemorrhage (IVH) caused by thalamic hemorrhage: comparisons of endoscopic surgery and external ventricular drainage (EVD) surgery. World Neurosurg 2011;75(2):264–8. DOI: 10.1016/j.wneu.2010.07.041. PMID: 21492728.